Chance is a great dog. He is approx 3-4 years old. He was found as a drop off at our neighbor's house. He was extremely scared and it took many months to get him out of his shell. He still needs further work on bite inhibition during play or when he takes treats. He loves to ride in the car and does so very nicely. He is very hyper behind the wire but once away from the kennel environment, he calms down nicely. He appears to be house trained and does well here but he does have a doggie door and access to the outdoors at all times. He would make someone a wonderful companion if given the proper training and continued socialization. He is good with all female dogs and some male dogs. Walks well on a leash. Would not put him with children under eight as he is too jumpy and high strung. 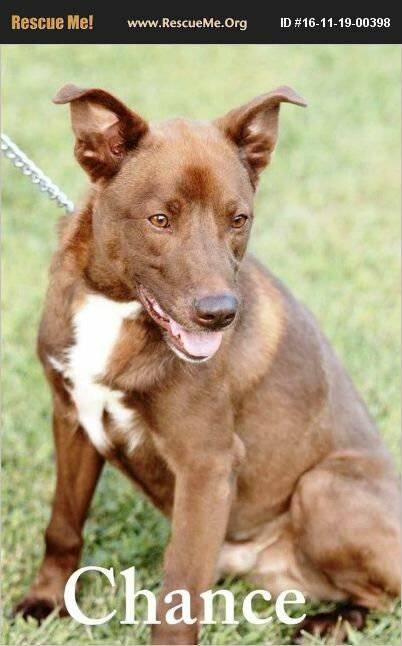 Would make a great dog for an experienced adopter willing to continue his training.